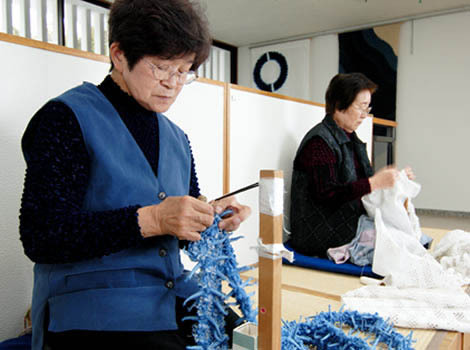 Please do have a look at all of Arimatsu Shibori Traditional Arts! There are a lot of affordable and a wide variety of Shibori products in stock, hear. 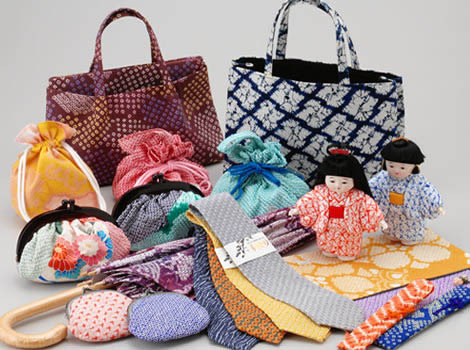 Such as, yukata(informal cotton kimono), T-shirts, clothes, standard items of scarfs, bags, porches, ties, and tablecloths etc. By all means, Come and see those for the souvenir of Nagoya!! Phone 052-621-0111　●The location is here on the map attached.